Nothing dates faster than drug culture, and writer-director Rob Heydon’s Irvine Welsh adaptation arrives nearly two decades after the era of the dedicated pill-popper. 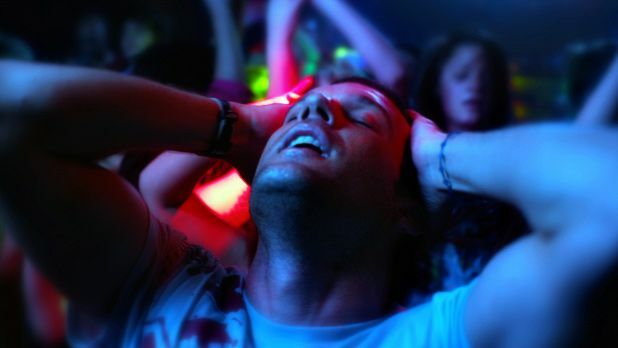 Taken from Welsh’s story 'The Undefeated', part of the 1996 compilation that provides the film’s title, Ecstasy is a drear, witless compilation of drug-movie clichés. Lloyd Buist (Adam Sinclair) is a club-loving drug-smuggler who dumps his girlfriend Hazel (Olivia Andrup) for fresh romance with Heather (Kristin Kruek). But Lloyd’s rising debt to psychotic club-owner Solo (Carlo Rota) puts the new couple’s desire for stability at risk, while also endangering his gormless pals Woodsy (Billy Boyd) and Ally (Keram Malicki-Sanchez). The question posed here is; can the resourceful Buist manage to turn the tables on the vicious Solo and find true love? Heydon’s film spent ten years in development hell, which partly explains the carelessly assembled nature of the end product. Crucially, there’s no sense of time or place on offer; shot cheaply in Canada with a cast who seem to have learned their Scottish accents phonetically, Heydon’s occasional location shots of Edinburgh only illustrate the kind of picture-postcard naffness that Danny Boyle’s Trainspotting consigned to the bin. And considering the mobile phones and sat-navs present, it’s typical of the loose sense of period that Buist is introduced smuggling drugs to Scotland from Amsterdam via celluloid film-canisters. Replacing the celebrated strength of detail of Welsh’s writing with such limp vagueness, Heydon at least manages to convey a couple of points of philosophical interest through Buist’s relationship with drunken father Jim (Stephen McHattie) and Woodsy’s flirtation with religious piety after overdosing in a church. But whatever the title says, this is most definitely not Irvine Welsh’s Ecstasy, but an agonisingly watered-down imitation, a long, languid come-down after the frenetic buzz of Trainspotting. Selected release from Fri 20 April.